Want to show your kids of how to make simple Unicorn Bite Treats (basically yogurt ice cream)? It’s a one ingredient fun treat they will love. 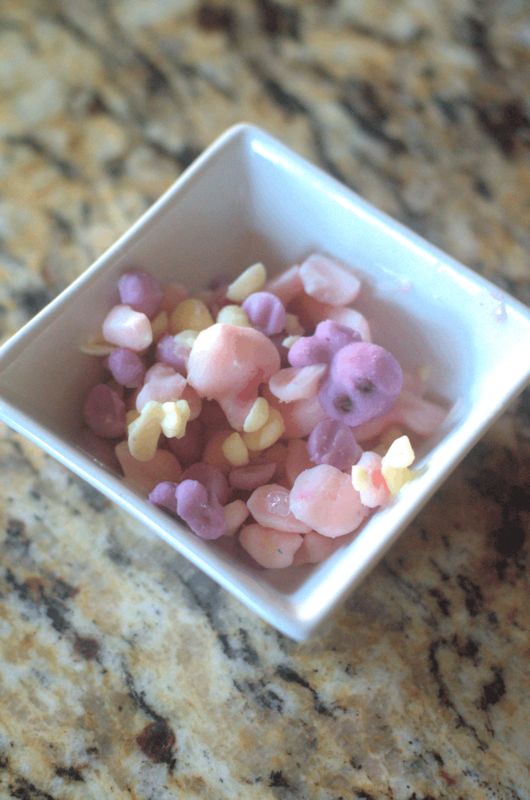 Unicorn Bite Treats are made from blueberry, strawberry, and peach yogurt. But how you ask? Bah–that’s what this whole post is about. Without much work at all and hardly any time to speak of. These Unicorn Bite Treats are made from placing yogurt into sandwich bags. Then you clip off one end of the bag. 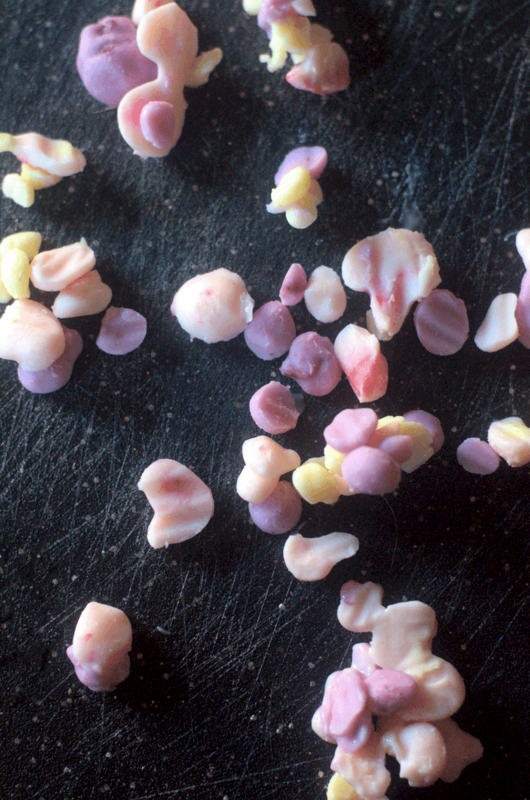 On parchment paper you make dots with the yogurt–whatever size you want, I go with tiny. Literally it’s just that simple. It’s a fun project for just about any age. I would suggest making several trays of these as they go so fast. What’s great is they are not as full of all the sugar as ice cream. You can change up the flavors and the colors buy changing which yogurt you buy. I love this because I can always use this for different themes. It’s cute for parties in small single serving decorative cups. I like to pick cups that match the party theme along with flavors and colors I am using. It’s especially fun for little kids as they melt away so easily in your mouth. 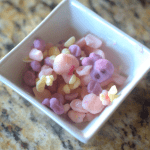 Alright, now, go forth and pin this so you can remember how to make these ridiculously simple one ingredient Unicorn Bite Treats next time. In each sandwich bag pour in one yogurt. Clip one end of bag with scissors. Place parchment paper on baking sheet. 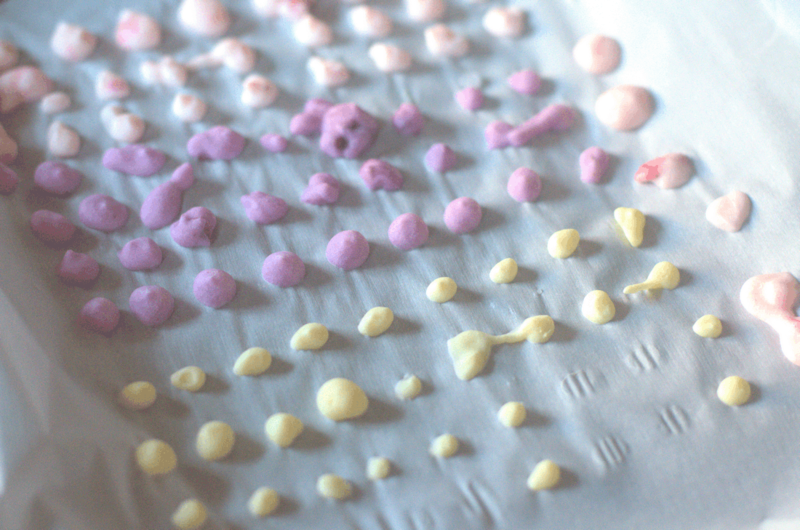 Make dots with yogurt by squeezing each bag to make dots all along the baking sheet. Repeat until all yogurt is gone. Place in freeze for 1 hour until solid. Serve!